COLUMBIA, Mo 10/1/15 (Beat Byte) -- A young man who grew up in Columbia and his family are seeking help for an all-too-common -- and serious -- problem. Insurance won't cover every cost related to a one-two punch of health problems Mateo Leija, 28, has endured in recent years. Mateo sustained a traumatic brain injury in 2010 that left him struggling with seizures and unable to work or attend school. Earlier this year, he was diagnosed with oral cancer that spread into his jaw and possibly lungs. 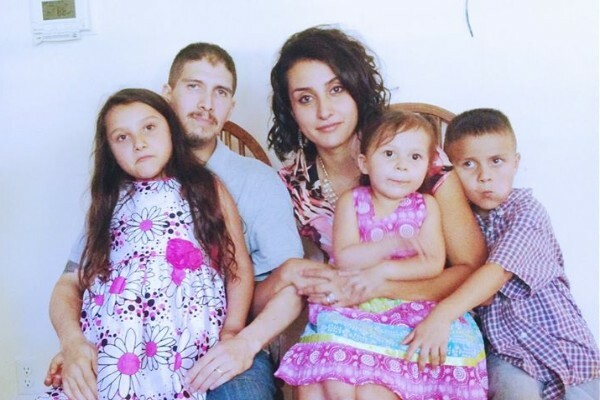 Friends and family have set up a GoFundMe page seeking help with the rising costs of care for Mateo, wife Jasmin and their three small children. Mateo is the son of Columbia residents Ken Leija and Paula Elias. Citizen Jane, the internationally-acclaimed film festival Elias founded with Kerri Yost and Polina Malikin, opens its eighth season this month. Few life events are more poignant than ill-health and mortality confronting youth. But for nearly six years, the Leija family has met these challenges, which people rarely face so young. Only 20 when Mateo suffered his head injury, Jasmin Leija left her job to care for him full-time. The cancer diagnosis in January seemed an unthinkable second blow. "How could this be?" Jasmin asks. "Mateo is so young, and it was unlikely to happen as he has no history of HPV, smoking, or excessive drinking." Cancer treatments included surgery to remove half of Mateo's tongue, radiation and chemotherapy. All the while, seizures from his earlier accident continued. "Hopes and dreams for a future had been badly threatened," Jasmin explains. July brought more bad news, as the cancer recurred -- common with oral carcinoma -- and spread, with doctors finding "suspicious spots" on Mateo's lungs. "Overwhelming" doesn't begin to describe the family's challenges, as they seek more specialized care with dwindling insurance and financial resources. The growing prominence of crowdfunding sites such as GoFundMe has helped make small financial gifts a big part of the healthcare cost picture. Financial advisors and hospital social workers sometimes suggest clients keep crowdfunding in mind as a way to offset everything from doctor bills to living expenses. Over $360,000 in health care bills came to this writer's family during our encounter with cancer, thankfully six years past. Adequate insurance played a key role in handling those expenses, in two ways: first, by paying the bills minus modest deductibles; and second, by receiving substantial, pre-negotiated discounts from healthcare providers. Without such help, families like the Leijas add another major stress -- finances -- at the worst possible time. It's a third punch for Mateo, after seizures and cancer.